The KLA TencorScan is a fully automated 300mm capable defect inspection tool capable of addressing a range of substrates such as polished, unpolished, transparent, opaque, rough ground substrates and touch panels. The KLA TencorScan defect inspectors are based on KLA Tencor’s multi-mode approach to inspection and offer high defect sensitivity at high output. 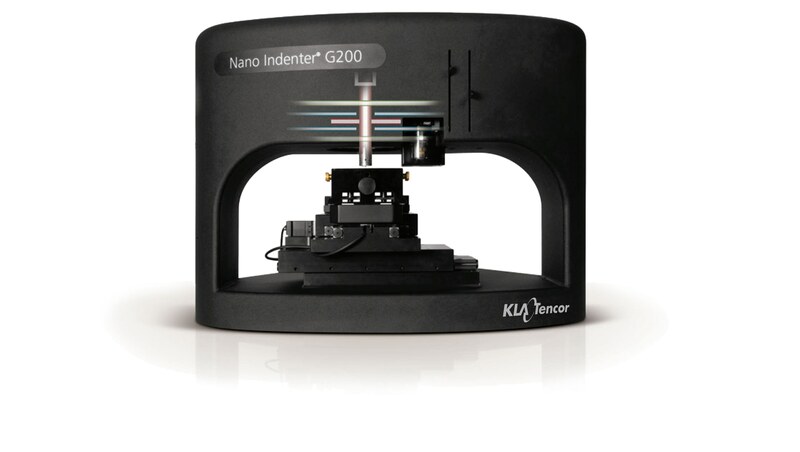 The KLA TencorScan integrates the benefits of a tiny laser spot with high sensitivity and resolution with the line scan optics speed or a high throughput. The sample stage moves at a considerably slow speed, allows for sample shape, thin samples, very thin and other delicate samples such as bonded wafers or thin glass. 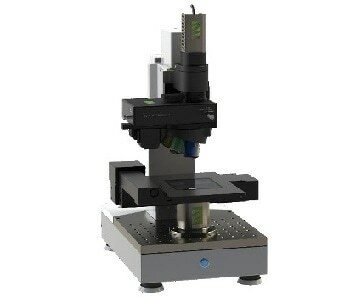 Scanning beam optics integrates the benefits of a small laser spot containing higher sensitivity and resolution with the speed of line scan optics. 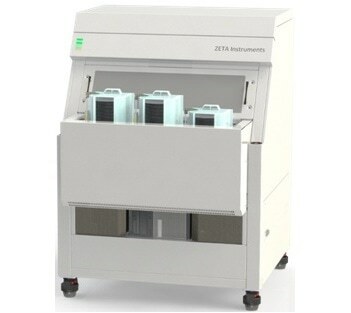 The sample stage moves at a comparatively slow speed, thereby allowing for very thin samples and other delicate samples like bonded wafers or thin glass. The 405nm laser diode possesses the latest technology in beam shaping optics for detection precision and control electronics for laser stability. Multiple channels such as Top Scatter, Side Scatter, Specular, and Topography can divide different types of defects using their unique signature. The following are common defects found on glass and their unique signature. Topside particles can be divided from backside particles with the help of their unique signature. 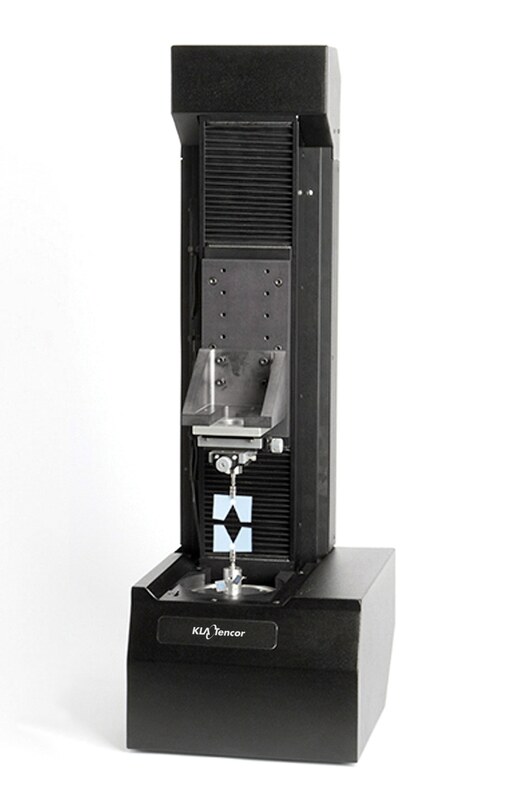 The system is calibrated with polystyrene latex spheres to measure precise particle size. The report will contain a defect map, which can be utilized for spatial root-cause testing and process control, a Pareto, and a log file. It also has a KLARF file that can be used for defect review. It is SECS/GEM compatible for full automation. The Defect Traceback enables the user to select a log file to find the defect in the image or select the image to spot the defect in the log file. The log file statistical analysis can then be conducted. 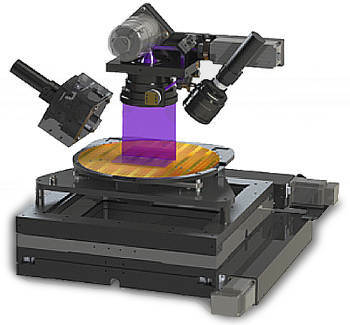 The linear scanning motion of the incident beam is combined with the lateral motion of the wafer to quickly generate the full wafer defect map. This type of scan is more rapid, more stable and less sensitive to vibration as compared to other ‘helical’ or ‘spiral’ scan based tools. The multiple detection channels can be used for easy defect classification. In the example shown below, all the particles can be detected in the Side Scatter (ZSS) channel.